Any Churros fans here? 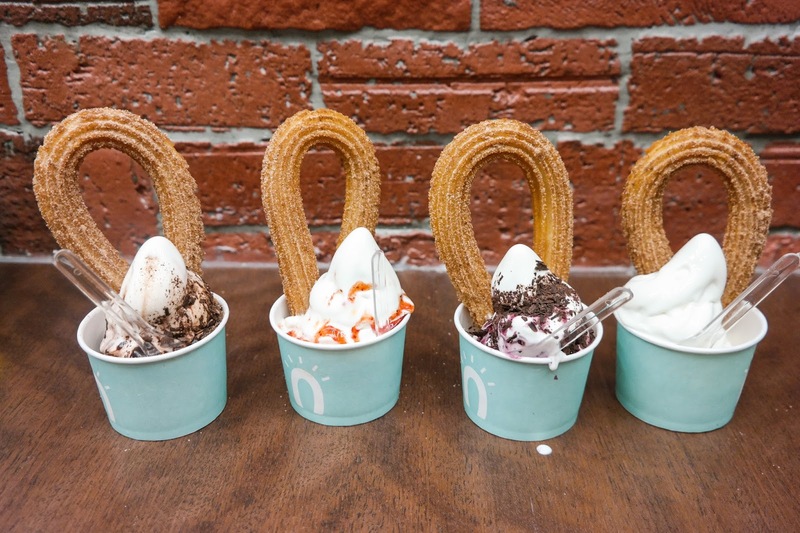 Did you know what Churros is? Churros – the crunchy, fried-dough pastry – is enjoyed in all parts of the world, either as a snack or dessert. In some European and Latin American countries, churros are even savoured for breakfast, dipped into thick hot chocolate sauce and served with café con leche (coffee with milk). Although this fried-dough pastry has been in Malaysia for some time, it is still largely confined to the dessert menus of Latin American or Spanish eateries. But this is all about to change. 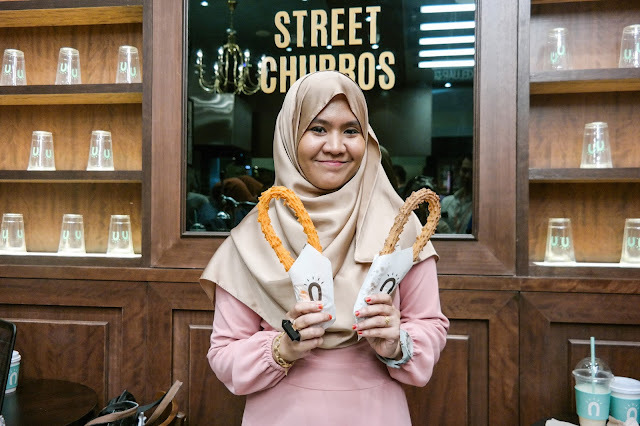 Street Churros – the world’s largest Churros Café chain – has set foot in Malaysia with its first outlet in IOI City Mall, Putrajaya, giving Malaysians the chance to get their hands on some of this crispy, delicious fried dough. Combining the love for churros with the popularity of street food culture, this South Korean brand has set about to elevate street food with premium, fresh ingredients and its specially hand-crafted recipes. Because it comes from Korea, don't be so skeptical when you being greet with Korean language okay! 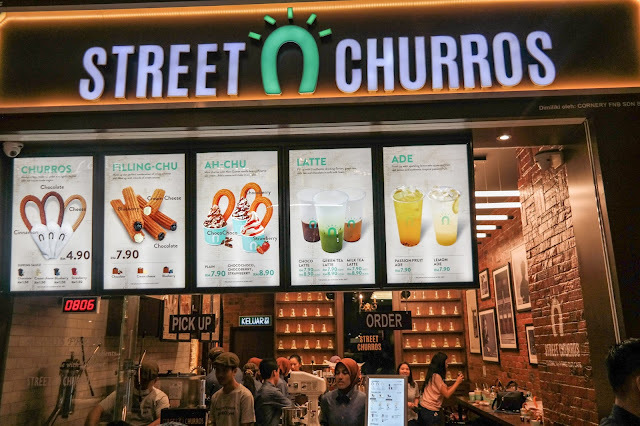 The churros at Street Churros are freshly made to order and as a result, always crispy. Customer can enjoy their Churros fresh and hot, also they can watch the Churros being prepare in front of them. In Malaysia, the café specialises in three types of churros, with the Original Churros prepared in a horseshoe-shaped pastry dusted lightly in cinnamon, chocolate or grain. At only RM4.90, it’s quite simply, “Churri-fic”! Yup! Its affordable and I do love the cinnamon and cheese Churros. 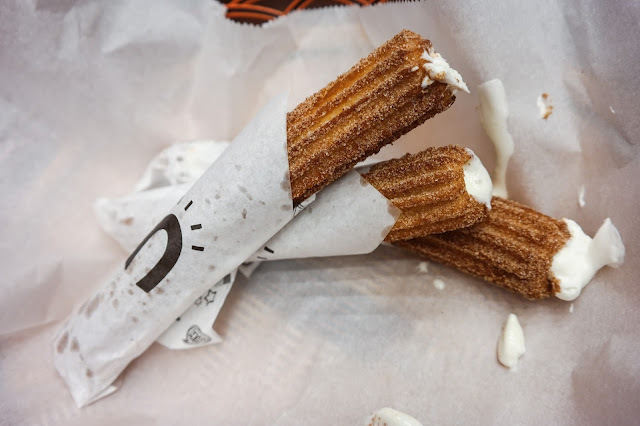 Of course, no churros experience would be complete without its dipping sauces. And Street Churros gives us four yummy flavours choose from – Chocolate, Cream Cheese, Strawberry and Blueberry, at an additional RM1.50 each. Then there’s the “Filling-Chu”, which is for those who prefer their pastries with filling. Crunchy on the inside, with a soft and gooey centre filled with a choice of Chocolate, Cream Cheese or Blueberry, “Filling-Chu” hits all the right spots and is priced at only RM7.90 each. And my favorite is the Cream Cheese filling. Love it to the max! If you have a craving for ice cream with your freshly-fried pastry – because, who doesn’t? - you can try “Ah-Chu”. This hot-and-cold combination of churros and delicious soft-serve ice cream is a clear winner and priced from RM7.90. The ice cream comes in a choice of four flavours, namely Choco Choco, Choco Berry and Strawberry, in addition to Plain Vanilla. Definitely great when you can two best things in one time right? 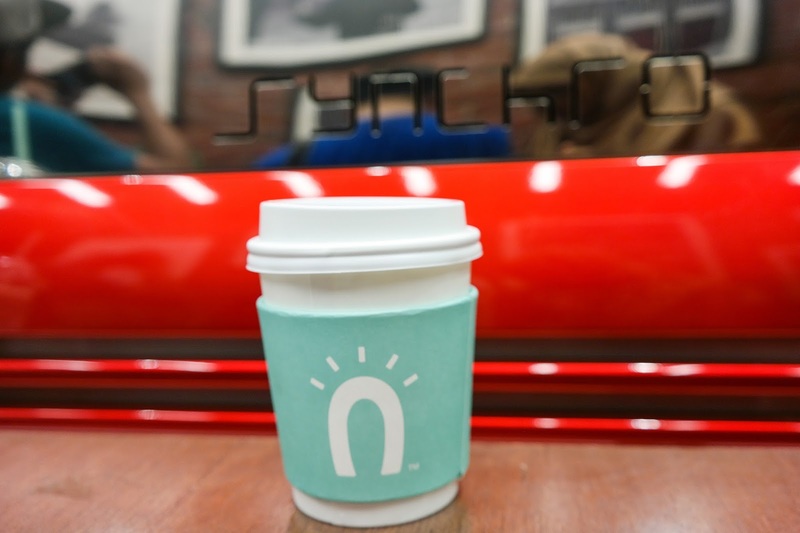 The café also features an exclusive range of Lattes – Choco Latte, Green Tea Latte, and Milk Tea Latte – as well as Fresh Lemonade and Passion Fruit Ade to wash down the churros.